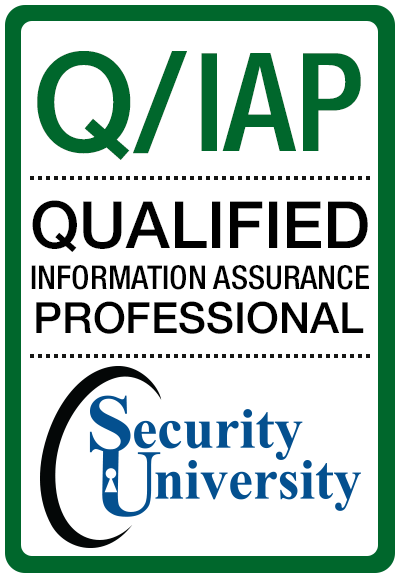 What is a Q/IAP "Qualified" Information Assurance Professional Certificate? 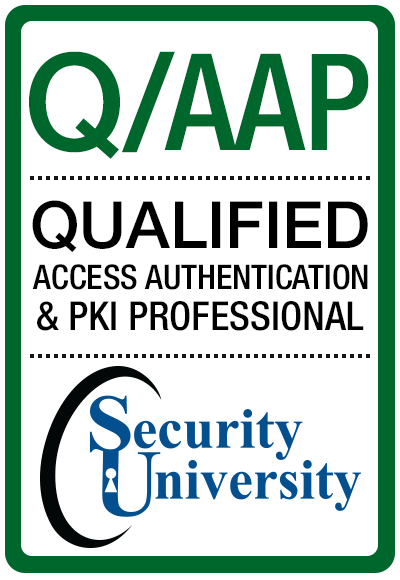 A Q/IAP is person who has passed the SU Qualified Access, Authentication and PKI, Security Policy and SOA, and C&A exams with a 70% or better. SU classes have extreme hands on labs the ensure you gain the necesary knowledge to be "qualified" for your job and ahead of the hackers! 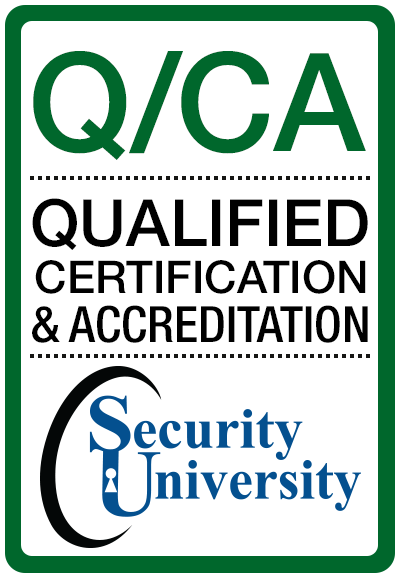 The Q/IAP classes are for IT security professionals, Sys Admins, Security Auditors, Network Auditors, CISO's, all IT personnel and who are looking to build tactical security skills and improve their career and income. 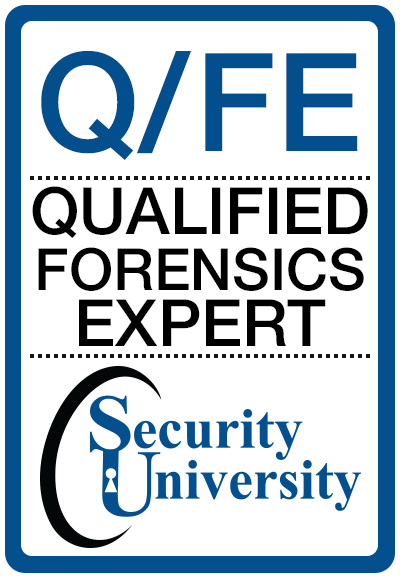 All classes are instructor led by highly qualified SU subject matter experts (SME's) packed with hours of hands-onlabs, leading edge tools and technologies setting the stage for your Qualified Information Security Professional Qualification Exam. After you have mastered these classes and exams you can sit for the Q/IAP exam. 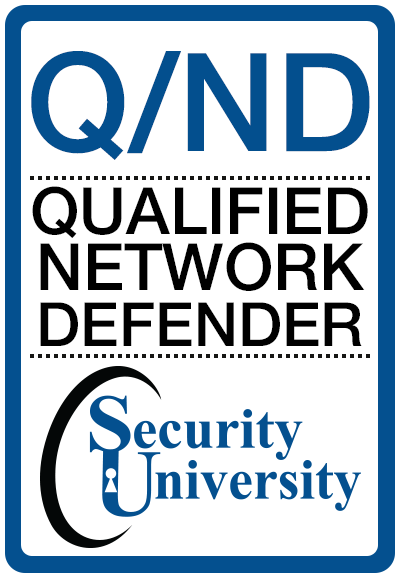 Q/EH, Q/SA- Q/PTL, QEP and Q/ND™ exams qualifies you for the Q/ISP Certification. 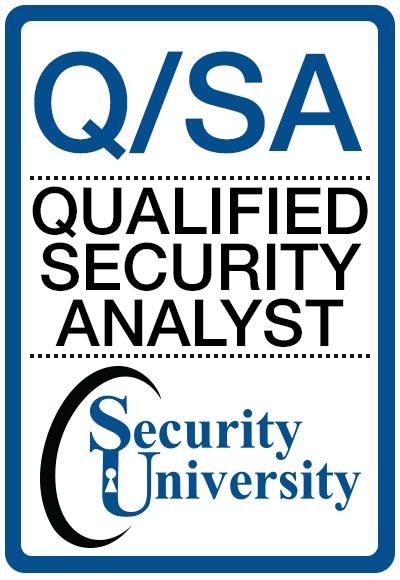 A QISP is person who has passed the Security University Q/EH, Q/SA- Q/PTL Q/FE and Q/ND exams with a 75 or better and completed 3 practicals. Not all classes are created equal. 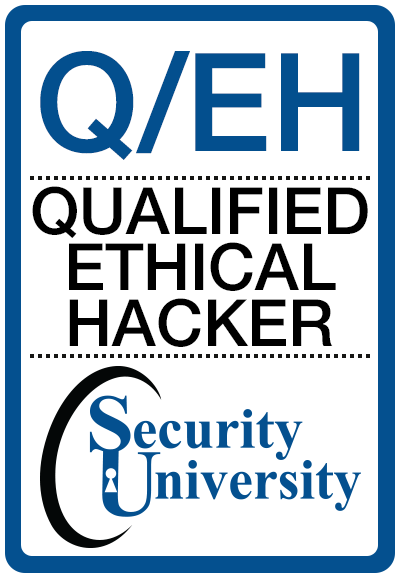 SU classes have extreme hands on labs the ensure you gain the necesary knowledge to be "qualified" for your job and ahead of the hackers! 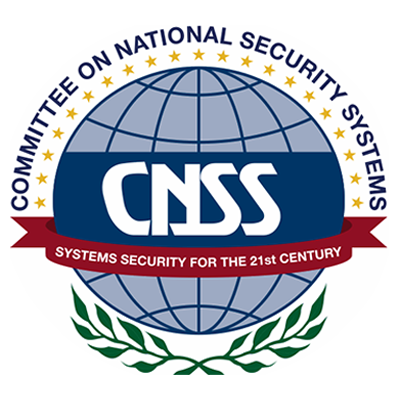 The Q/ISP classes are for IT security professionals, Sys Admins, Security Auditors, Network Auditors, CISO's, all IT personnel and who are looking to build tactical security skills and improve their career and income. 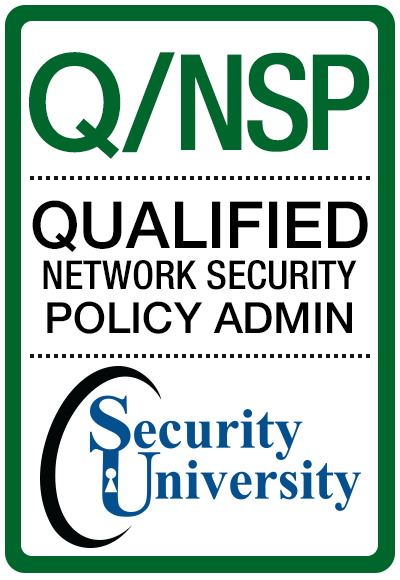 All SU Q/ISP classes are instructor led by highly qualified SU subject matter experts (SME's) packed with hours of hands-on labs, leading edge tools and technologies setting the stage for your Qualified Information Security Professional Qualification Exam. 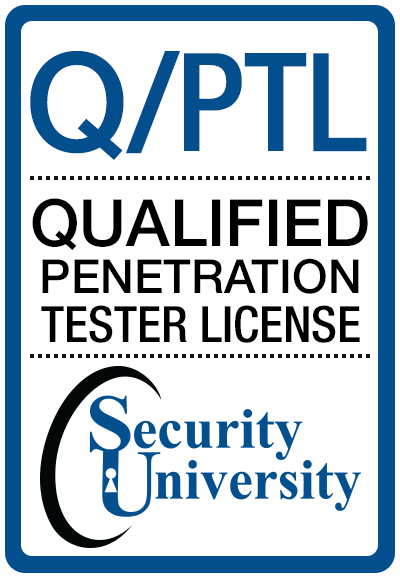 After you have mastered these classes and completed the practicals you can qualify for the QISP credential.